That doesn’t mean however that you can’t become pregnant at the start or end of your cycle. Ovulation can occur earlier or later within the cycle and then you are fertile. To alleviate any doubts about when you actually conceived we start counting the pregnancy from the first day of your last menstruation. We assume that you will give birth about 40 weeks after that date. A healthy pregnancy lasts between 37 and 42 weeks. You may have been taking folic acid because you wanted to get pregnant. Keep taking it until you are sure you have reached the 10th week of your pregnancy. 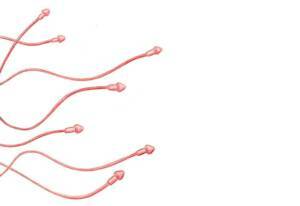 Now is a great time to calculate your fertile period. What was the first day of your latest menstruation? Modified cycle length: Is your cycle longer or shorter than 28 days? Then change the amount of days.